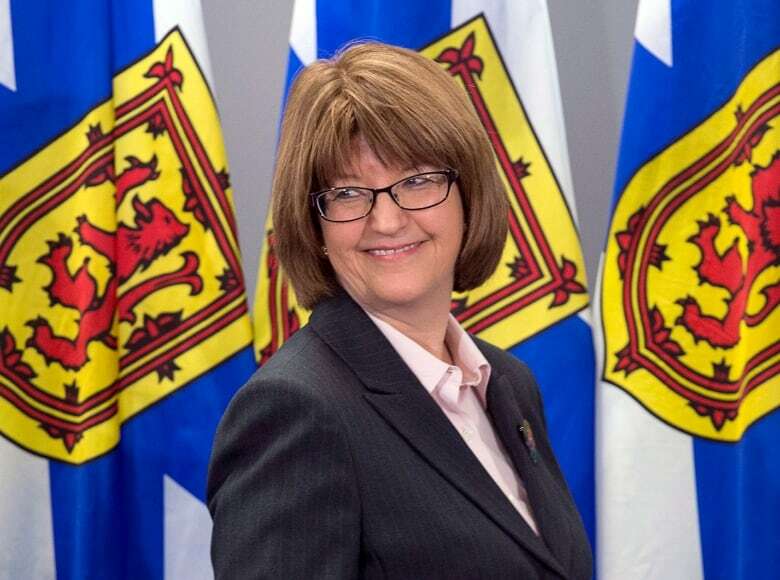 Members of Nova Scotia's film industry emerged from a meeting with Finance Minister Diana Whalen and claimed the government has admitted its gutting of a film tax credit is unworkable, but Whalen does not acknowledge making that statement during the two-hour session. The Nova Scotia government is disputing claims that it acknowledged upcoming changes in the province's film tax credit are "not workable" for the industry. The claim was made by film representatives after a meeting with Finance Minister Diana Whalen in Halifax on Tuesday. "They have agreed what they put forward is not workable," Marc Almon from Screen Nova Scotia told reporters after the meeting with Whalen and a number of others, including Bernie Miller — a top official for Premier Stephen McNeil — and nine representatives of the film industry. But Whalen took away a different message from the meeting. "What I was acknowledging is they have a problem with this — we do not. It works for government," Whalen told reporters. "It works for us," added McNeil. Both said the government is willing to look at ways of restructuring their tax incentive but there is no more money available in future years. The Liberals say they will make $6 million available for tax incentives targeted to television and film. The industry can share, with other creative industries, a further $6-million fund to be launched in 2016. "What we've said to the industry is, 'We have a proposal that we believe certainly works for us. If you believe it can be done differently to work better for the industry, then let us know,'" McNeil said. McNeil would not address industry claims that his government's tax credit change — which is scheduled to go into effect in July — will drive film and television production out of Nova Scotia. "We believe we've struck a balance," the premier told reporters. That was not the impression the film industry was left with after the meeting. "We agreed the current tax credit system proposed by the government is not workable," said Almon. Whalen said that was "their opinion." "I think a lot was accomplished and it was really important that we had the chance to talk about these details. This is a mechanism that works for industry, for other businesses, it works for us," she said later on Tuesday. Last week, the province announced in its spring budget that it was slashing the film tax credit — essentially a guaranteed payroll rebate on eligible labour costs — from 100 per cent refundable to 25 per cent refundable. Productions can recover the remaining 75 per cent only if they pay corporate income tax. Few companies make enough money to pay tax. "I think it's fair thing to say that we're looking for a common ground," Whalen said. "Things we can agree on. We have a fiscal envelope, and we have a fiscal reality. I made it very clear that we have challenges and they understand that. I also listened to the challenges they have." The position differed from the impression Almon was left with. "We do consider that considerable progress — an acknowledgment the 25 per cent refundable and 75 per cent unrefundable system is not something that can serve the interests of the industry," he said. The film industry says it has agreed to meet with Whalen again later this week. "I think the next step is to look at what funds are available within the fiscal envelope and how best to put it in a way that they can access it," Whalen said. "What they are telling us is they would not be accessing the funds we think are available through a tax credit, a real tax credit. So we'll just look at what their suggestions are, whether there's another way to go forward." Almon said the industry has put forward its own proposal but would not discuss it. He also said they're concerned about the proposed July 1 implementation date. No changes have been made to that date. "We do still have some concerns, especially regarding the implementation date so we have to continue talking about that. And we also are concerned about the numbers. We need to continue talking," he said. Producer and director Scott Simpson says the two sides need to agree on the best way forward and that the industry needs time to prepare for whatever that will be. "It doesn't change overnight. We need time to not only come to an agreement on the best way forward but also to implement any changes to an industry," he said. "It takes some time to restructure if there was going to be some restructuring." The industry also appears to accept that the current tax credit — which allows producers to write off up to 65 per cent of labour costs — is unlikely to survive. "It's fair to say we're open to some change. Our industry changes. We adapt to global shifts in the industry," said Simpson. "If there's going to be a change, we're willing to look at possibilities, options. It's not reasonable to expect that that can happen in a matter of months."